Life is made up of lots of little moments – a walk on the beach, holding hands with your soulmate, enjoying a delicious dinner with friends, or viewing a sunset in complete silence – all serve as gentle reminders of life’s blessings we often take for granted. Sometimes all we need is a break from our routine daily life to help us fully realize how small moments bring joy and make a difference in who we are and the purpose set before us. Our lives have become so demanding and the pressure to do more, be more and collect more has become so burdensome that we lose sight of who or what is really important. Avoid letting someone or something steal your joy. Declutter the unimportant and take back what makes you happy and joyful. Joy is not an emotion and it is not dependent on circumstance. True joy comes from God’s faithfulness and protection and it comes when we live in His presence. Stepping away from the busyness to pray, meditate and reflect, allows us the opportunity to take in a fresh perspective complete with gratitude and appreciation. The time is RIGHT NOW to realize that the little things really are the BIG things – the JOY things. We are to be thankful for the little things we have each day and take full advantage of them. Take a moment and think about these words…….those who put their trust in Him will shout for joy. We are to take pleasure in God’s word and rejoice at all of the blessings and gifts He has given us. Thanks and shouts of joy should be on our lips every day. My ‘So Today,’ is to intentionally take time for those who matter most and remember it’s the little things that occupy the BIGGEST part of my joy-filled heart. 1) What things are stealing your joy in this season of life? Consider how you might gracefully bow out of some of these obligations and responsibilities to make more room for joy in your life. 2) Make a Joyful list. What things bring your heart joy? Keep this list handy so that when circumstances threaten to steal your joy, you’ll have a reminder of the joy none can take from you. 3) What is your “So, Today…?” How will you give God your unreserved joy in the midst of hard times? Imagine your best friend is struggling with joy. What would you say to her? Share your advice and/or practical ideas for taking time away from the busyness and focusing on Real Joy. 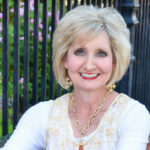 Mitzi Neely is the author of A Thankful Heart~30 Days to the Grateful Life, and an inspiring motivational speaker who encourages women of all ages through her experiences and shortcomings. She has been blessed with a passion and love for people that stretches across the generations. Her heart is to lighten your load, while conveying her message that nobody’s perfect. Thank you for allowing me to be a part of this joy-filled series. Each message has been meaningful and relevant and I’m so thankful for you and my sisters of faith.